For London the worst has happened. There have been riots, uncontrolled fires, outbreaks of savage looting, artillery battles, mass flights. The great city lies three parts deserted, open to marauding gangs and beast-wild individuals, its highways and landmarks tumbled like ruined temples. 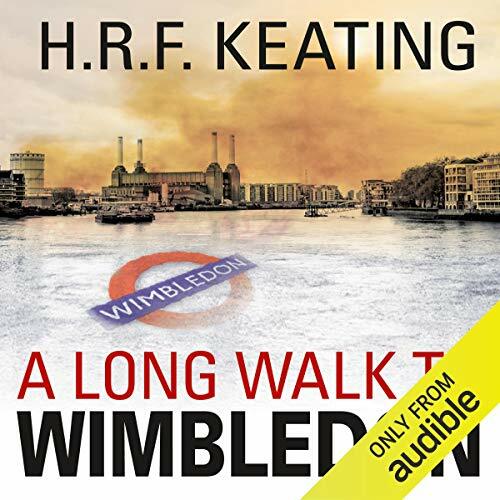 H. R. F. Keating brilliantly extends the scope of his considerable talent to describe a perilous walk through a dark, violent and lawless London, a desperate journey which becomes more than a personal odyssey of mercy. P. D. James. ©2002 H. R. F. Keating (P)2014 Audible, Inc. This is one of the most curious books I think I have got from Audible. At six and a half hours it's a pretty short book about a "long walk". Set in a London where society has completely broken down for reasons never quite explained, we follow Mark as he treks across the broken landscape of the English capital to visit his sick, estranged wife. I think the book will appeal to an extent to those who know London well because the author obviously did. Note though it was first published in 1978 so it's not quite the London of today. It's definitely an interesting enough read, and there are some very well written moments of suspense as well as some interesting characters. However, it seemed almost to be written in the style of a Victorian Gentleman's adventure, possibly that was intended and it was a bit flat in parts. At the end of the book, well I smiled, I felt content without ever having being thrilled by it and in no way do I feel I wasted my time. I can imagine it polarising opinions though especially with one or two rather one-dimensional characters. That said it's definitely a slightly different take on the Post Apocalyptic thriller genre and so I'd say if you have six and a half hours to spare why not give it a try?